Community. It has been described as a feeling of fellowship with others, as a result of sharing common attitudes, interests, and goals. Chatham Town Councilman Will Pace said that a strong sense of community is one of the things he loves most about the town he now calls home. Politics and public service are clearly in Pace’s blood. Along with his government major, and time spent working for Congressman Hurt, he has continued to be involved in the Virginia political field. He is currently the legislative aide for Delegate Charles Poindexter, a job he really enjoys. “I assist with all aspects of his legislative duties, both in the House District that he represents (Franklin, Henry and Patrick Counties) and in Richmond when we are in session during the winter,” Pace remarks. 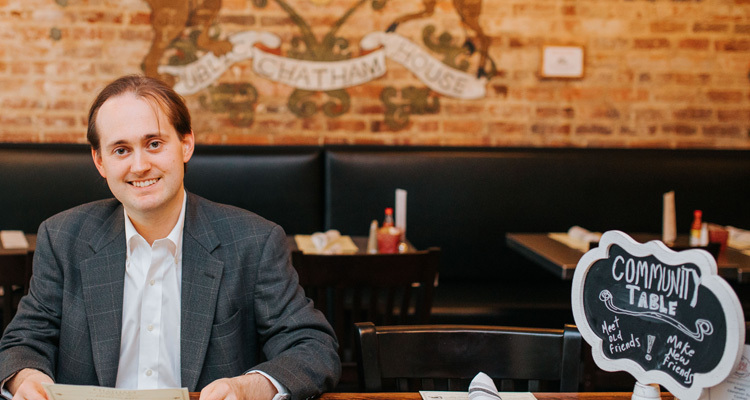 Today, Pace not only calls Chatham home, he is actively involved in shaping its future. He was elected to the Chatham Town Council in 2016. Prior to that, Pace was the chairman of the Chatham Planning Commission and helped update the town’s comprehensive five-year plan. He is also a member of Chatham First, a community organization that works to improve the quality of life in Chatham. Some of the projects that Chatham First has been involved include improvements to the Frances Hallam Hurt Park, Competition Alley, Silas Moore Park, and the Edmund Giles Gateway Park. “I am very proud of the work that Chatham First does in the community,” Pace notes.